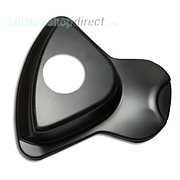 At Leisureshopdirect.com we believe in helping our customers get on the road and stay on the road in their caravans, motorhomes, campervans and trailer tents. 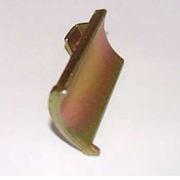 Which is why we stock such a vast range of component spares for your 'van on our website - so that you can find that exact piece, part or component you require to keep everything working efficient and safetly. Keeping your chassis healthy has got to be one of the most important pre-occupations of any tourer and on this page you will find the Alko chassis parts and Alko spares you require to keep the foundations of your home-from-home in tip-top shape. ALKO are definitely the market leading manufacturers of caravan chassis and complementary premium accessories. The modular, lightweight vario range of chassis provides the perfect platform on which manufacturers can build their touring caravans. Rubber suspension axles and market leading overrun braking system technology combine together to provide superior stability and road holding driving characteristics. The chassis is manufactured to take the extensive range of AL-KO premium accessories and security and safety products such as AL-KO ATC, AKS Stabilisers and AL-KO Secure Wheel Locks. 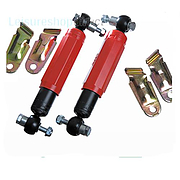 Other complementary products such as jockey wheels, side lift jacks, corner steadies and shock absorbers improve the range and the consumers towing experience. 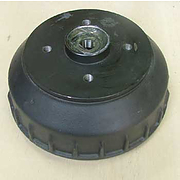 You can find Al-ko brake drums , corner steadies and pressure pads for you Al-ko caravan chassis accessories. 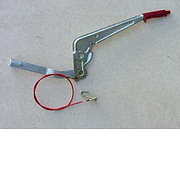 You may be on this page looking for Alko Hitch Spares be that something as simple but essential as a bolt for your Alko Hitch Damper or a drawbar gaiter for your Alko Hitch. 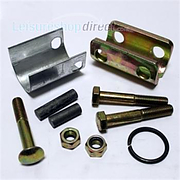 Any Al-Ko caravan spare part you require, if you cannot find on leisureshopdirect.com please phone up the customer services who will be able to source most parts for you. 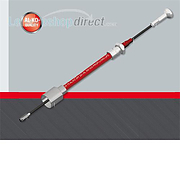 Alko Shock Absorber kit red pack of 2. 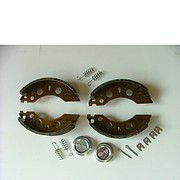 Alko Brake Shoe Kits available in various sizes, euro or non euro. 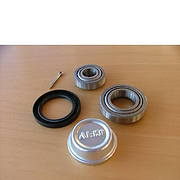 Al-Ko Bearing Kits which consist of 2 bearings, oil seal, grease cap and split pin. 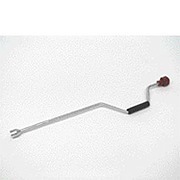 Bowden Cables connects brake rod to brake drum. Available in 10 lengths. 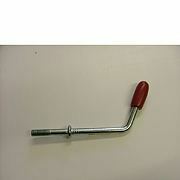 AL-KO steadies are easy to operate and provide a stabile footing on which to level your caravan. Available as standard and long. 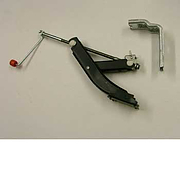 Al ko Handbrake assy for 161S hitch. 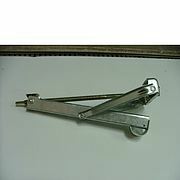 For standard hitch with ratchet. 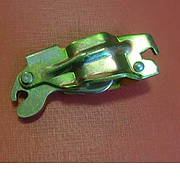 Jockey wheel clamp handle for use with Al-ko Jockey wheels. 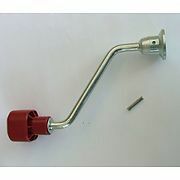 Spare jockey wheel handle for Al-ko jockey wheels. 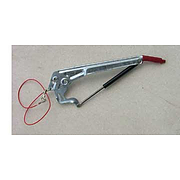 Al-ko Hitch damper, replacement damper for AL-KO coupling and overrun devices. 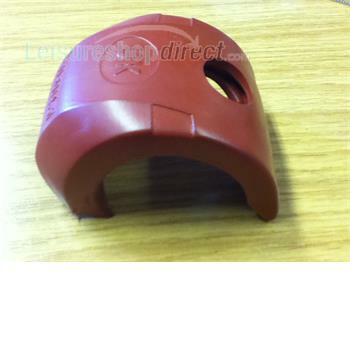 The Alko Soft Dock is a manufactured from a soft and absorbent rubber compound which makes this coupling cover a great asset to shin protection whilst also reducing the risk of scratches to the towing vehicle. Pressure pad for jockey wheel for Alko Chassis positioned next to shaft to prevent clamp handle screw from damaging shaft. 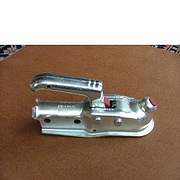 Al-ko Hitch Coupling AK160/300. Circa. 2000 - present day. 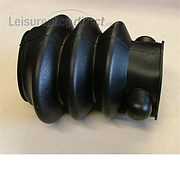 Replacement coupling head with built-in safety coupling and coupling/towball mechanism indicators. 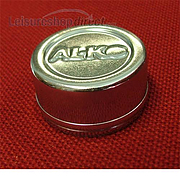 Al-ko Dust Cap 1637/2051 Euro. Diameter 56mm. 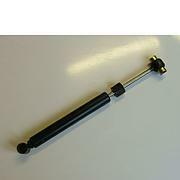 Bolt for Alko Hitch Damper 161S. 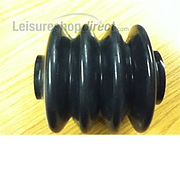 Bolt, 12x90 90 931-8.8zn 8disp for Alko shock absorber 161S our ref 228482. 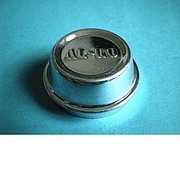 AL-KO Secure Wheel Lock Protective Cover. To suit insert no. 19. 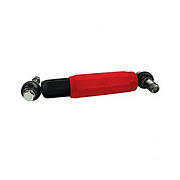 AL-KO axle shock absorbers with fittings .Coloured red. For single axle up to 1800kg, and twin axle up to 3500kg. 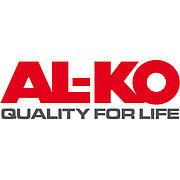 AL-KO is the worldwide, leading, caravan chassis manufacturer and has currently produced over 2 million chassis.